Top loading zippered access, laptop must be removed for use. Slim design with soft inner liner. Available for most 10", 13", 15", and 17" tablets and laptops. 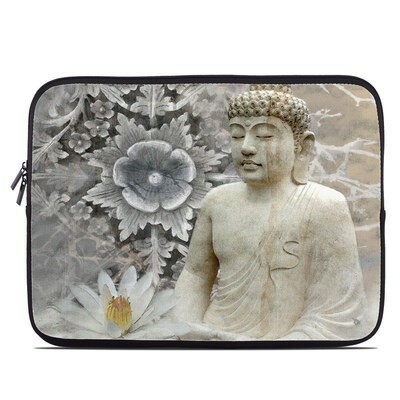 Remember, we offer over 1000 pieces of art as sleeves for your Laptop Sleeve. 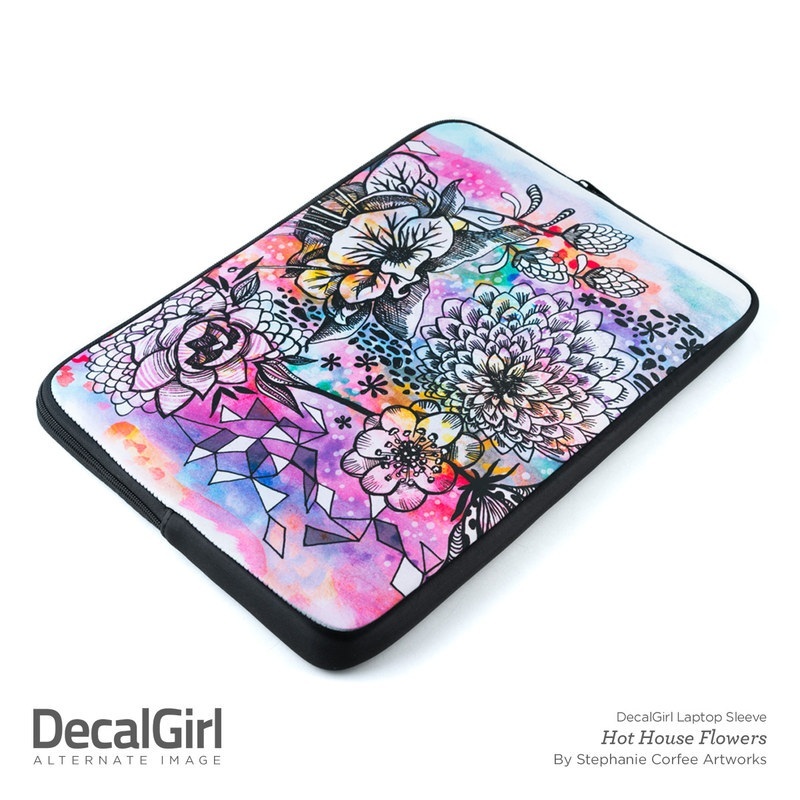 made my own custom tablet sleeve for my mom's kindle since she hadn't seen a particular design that she absolutely LOVED even after looking through DG for HOURS (literally), so I asked her what she was looking for and was able to make a sleeve that she adores! She loved her kindle before but now she loves it even more! 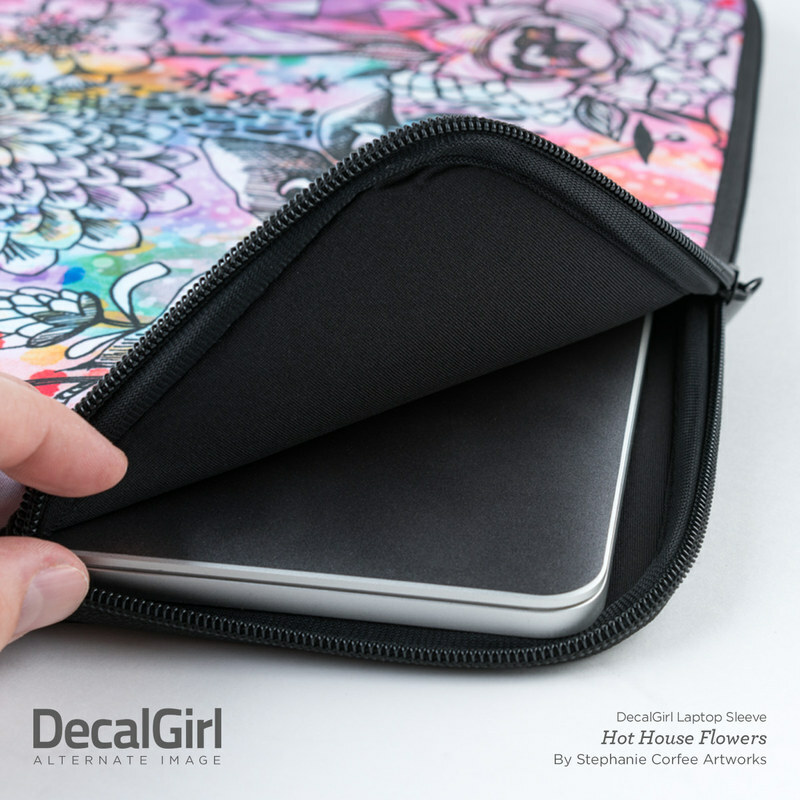 I just LOVE this Lavender Dawn sleeve for my ipad air 2 (which fits in it even though it's in a lifeproof ipad Air case). I'm happy that it has the double zippers, so that I can position the zippers where I need them on my case, and I LOVE that the vivid purples, blues, greys, tans, and whites show up so vividly. I'd recommend getting a laptap sleeve for anyone that would like one! Even if they don't have any tech to fill it with...they're THAT good! 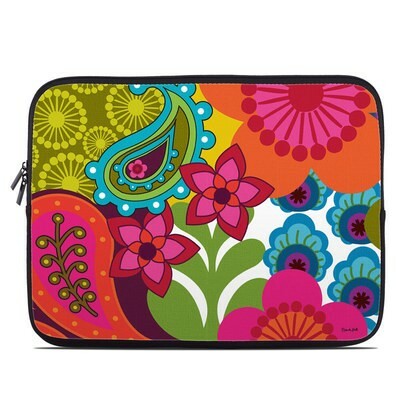 Brilliant colors on this laptop case! 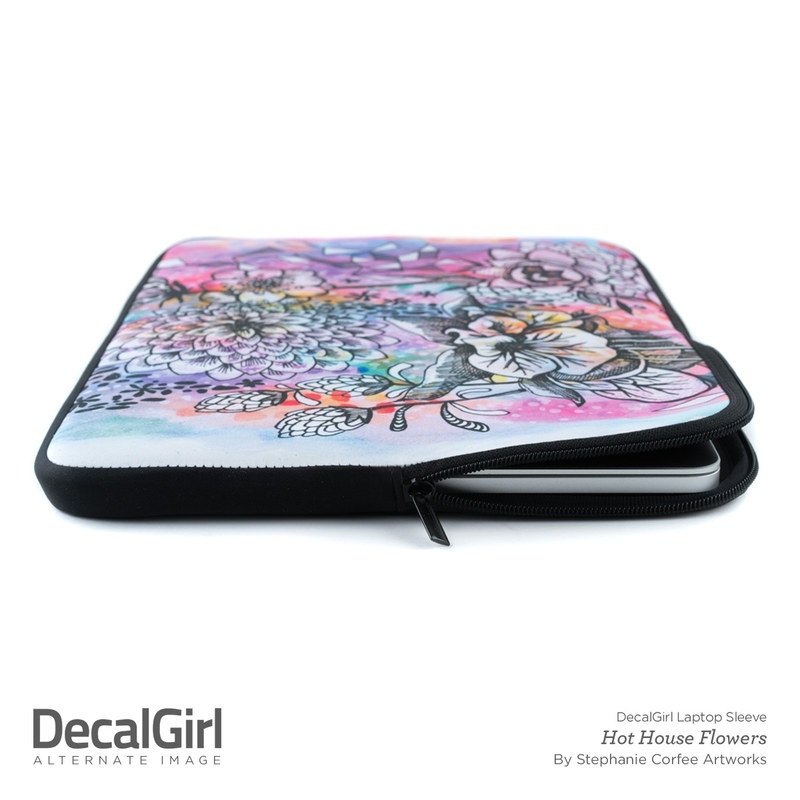 May have to order this one again as a case for my Kindle, it's that beautiful...love it! its very bright and clear and the quality is amazing! it barely fits one of my 15" laptops (a dell) and it does not fit my 2008 15" MacBook Pro :( but it's super cute! Loved the ethereal display of aurora lights! Brings a sense of tranquility and peace to me whenever I look at it. 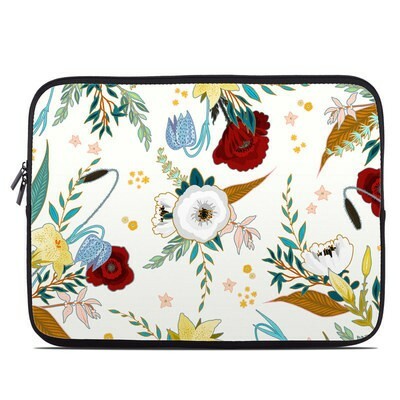 Love this illustration and case by Pui-Mun Law, it is fanciful, colourful, elegant and appropriate for both sexes. The print looks even better in real life, a bit brighter and with more golden tones than the image on my computer. The 13" size sleeve is the best fit for my 10-odd laptop, as the 10" one would not fit it in. However, the extra space allows me to fit my mouse pad, mouse and USB drives. Very happy with the product overall. I buy from overseas, so the posting fees are quite high for small purchases like this, and then the currency conversion is not that good either. So I paid a little fortune for this. It would be great having those fees waved if one spends a certain amount of money; if that was the case, I would buy more from Decalgirl. Wish the design was on both sides. The product is durable and protective, the design is bright with great color. Also wish there was an extra pocket inside or out for accessories. Thank you to everyone at Decal Girl. this product is amazing. The colours and the graphic are stunning. I would order again. I looked at 3 sites before ordering, including one in Canada, You had the most beautiful designs and despite mail strike in Canada my stuff arrived before Xmas... I received the best customer service as well as I changed my choice of sleeves. They accommodated me quickly. Great company to deal with. I will be ordering again soon.. It's okay.... I like the actual case, BUT I'd love it if the image I submitted was centered where I could see the full image. Also if my laptop fit in the case without stretching it out. It is not big enough for my 17" laptop. So I'd recommend it for smaller laptops. 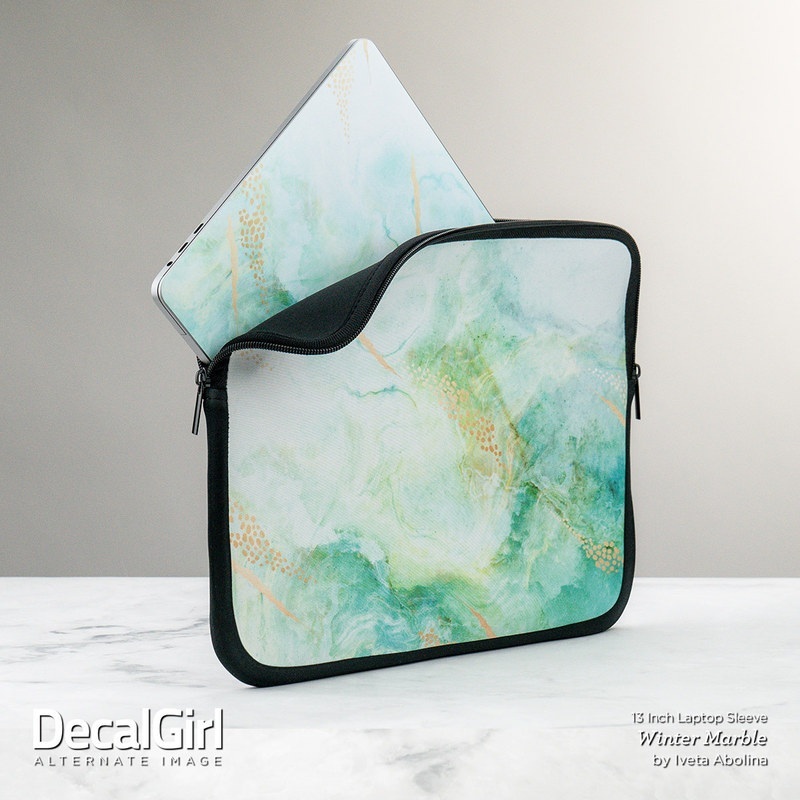 This laptop sleeve is perfect! A good precise point for great quality. 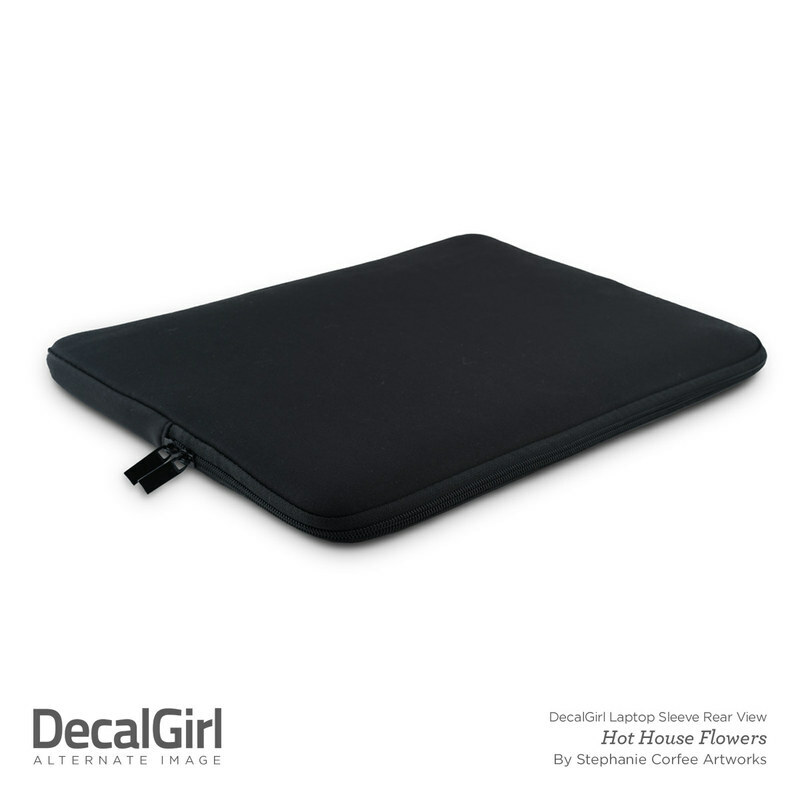 I got the one for 13 in laptops and it fits my 13 inch Microsoft Surface Laptop well with a little extra room. Very slim but it’s pretty kushy:) definitely recommend! I love anything with this print by Dan Morris! 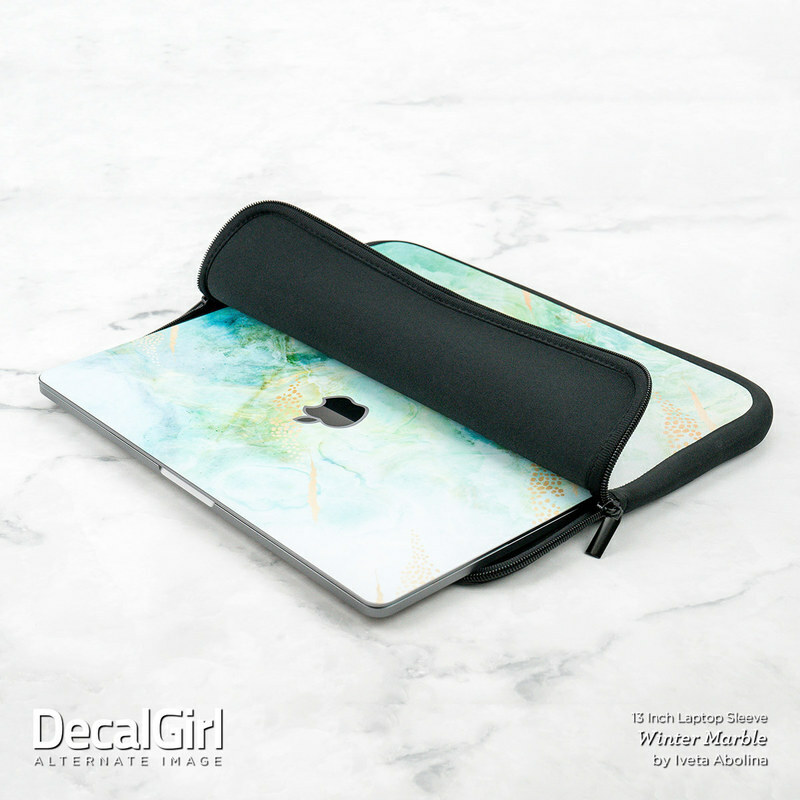 I am about to buy the skins for both my iPad and iPods, and as soon as the Hybrid Case comes out for my new xs max, you better believe I will be buying that as well. Once again . . . I get comments/questions about it whenever I take my laptop out in public. Durable material, strong zipper. Fast shipping. Artwork/Artist (Vlad Studios), product, and 'DecalGirl' are absolutely fantastic! This piece looks great on all my devices, and I like to have them match. 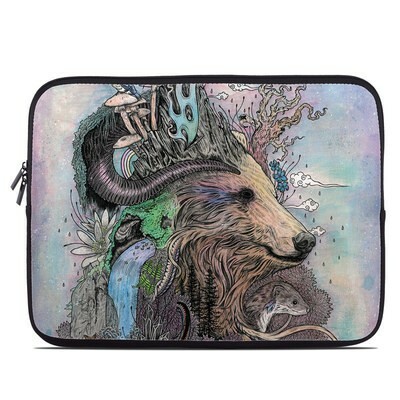 My phone, gaming console(s), and laptop (protected by matching sleeve, of course) all look great with this artwork! Hint: Looks best with high gloss finish, really brings out the subtle color differences. My Surface laptop fits perfectly. I love the pattern and that it offers protection for my expensive device. 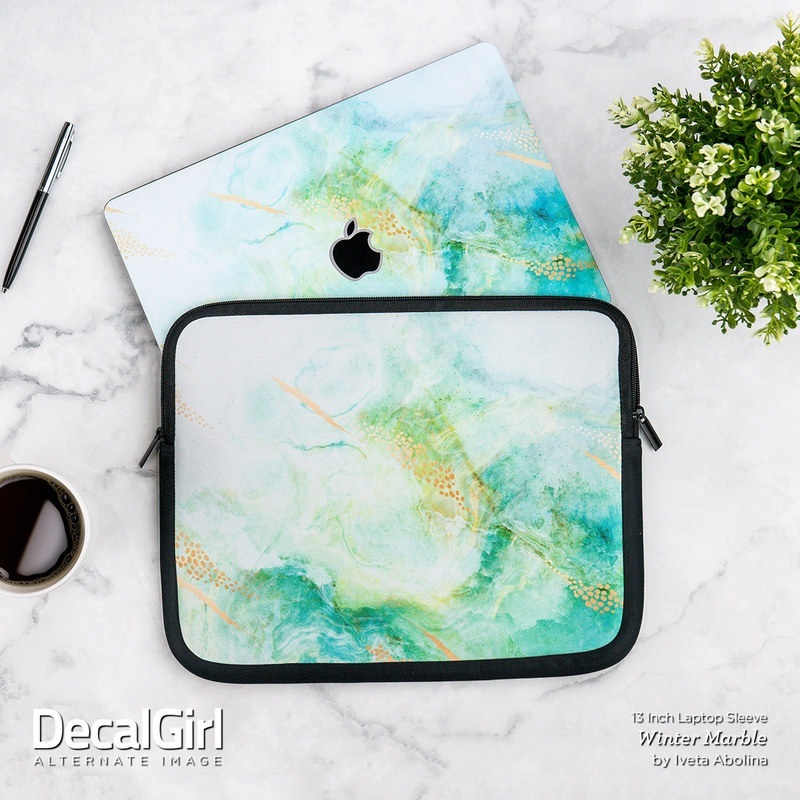 DecalGirl shipped quickly. Gorgeous Colors and perfect saying and size for my Dell Laptop to tote to Az to visit my Sis quarterly. It was amazing! Best laptop sleeve I’ve purchased! The design was awesomely printed! Vibrant and attitudinal, looks busy just setting still! Beautiful design. The colors look brighter than in the picture. Very nice texture. Colorful, easy care. Exceptional material. 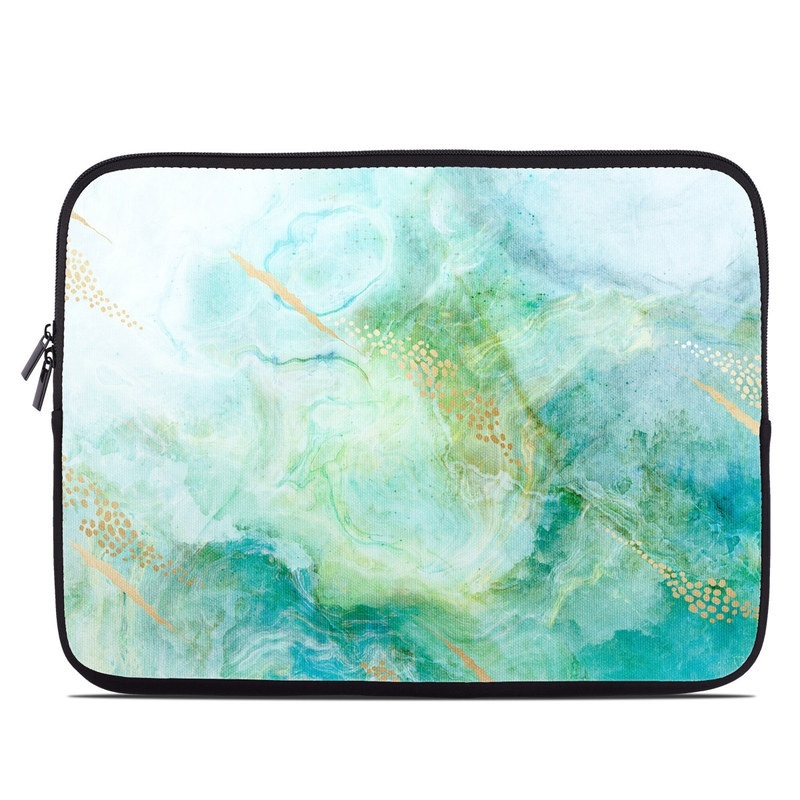 I ordered this sleeve for my 10 in travel computer. Unfortunately, it didn't fit my computer as the computer as a thickness that the sleeve does not consider, so I had to return it (me paying the shipping costs back). The print looked way brighter and had more contrast in my computer than the one I got home, which was very dark and not as nice. Thanks to the Decalgirl team for making the return so easy. Beautiful artwork, but part of the image was cropped out to fit on the sleeve. I had hoped the image would be rotated 90 degrees to match the shape of the sleeve to the shape of the original image. Absolutely Love my new custom sleeve for my Mac Book Pro. Excellent quality and the picture I used came out great!! Also received it a lot faster than I thought, another plus to use Decal Girl again! This was the size recommended for my Surface Pro, but it is a bit big for my tablet. Maybe it is the best size they have for this device, but I feel like a tighter one would be better. The picture looks great and it matches the skin I have on my Surface, so that is fun. And it is better than no case at all. Suggestion for future version of this product - add a handle to make carrying easy. Perfect match to the skin. beautiful! But you'll want it bigger than your lap top to accommodate a charging brick. My favorite! Colors are vibrant and feels just like a wetsuit. Offers thick protection for my laptop. Good size and yet flexible, good grip and non slip. I was very excited when I ordered this laptop sleeve. I bought the 17" size because I thought my laptop would fit but when it arrived, there was a lot of excess room so I returned it and eventually I'll get the chance to buy a size 15" laptop sleeve. Love the fabulous color in the print. Zippers are smooth, great sleeve! it's made from premium quality material , it's fantastic! I just got my computer sleeve... Tremendous!! Quality of the case is outstanding and my photo looks exactly like the original awesome work Decalgirl!! Wish everything else I bought online as good as this! It's so cute!! It works great for my Surface 4, even if it is a tad big, but the kitties are really colorful and cute, and the material is great! Looks awesome and fits my laptop perfect. Everything I was hoping for. Matches my iPad skin. Love having everything matching. Perfect decals for my Macbook 13” retina laptop. The TREASURE HUNT design (matte/satin finish) is incredibly beautiful and so whimsical. I am planning to get another one for my 17” macbook pro. High quality and it fits perfectly. Highly recommended. I got compliments from my family and friends. great accessory! protects and looks great! This is only rated 5 stars because I wanted people to see this. So I order a 17" sleeve and I got before the date that it said but I got a 20" sleeve instead of a 17". I have an acer so it is a little big than the macs but it looks like it is 2 sizes to big. Got this sleeve to represent my "ships". I really like it, but I do wish that there will be an option for personalized sizes just like with the skins. Love the colors and the small one fits the iPad Air 2. Four stars because sometimes it's hard to open/close the zipper when I'm in a hurry. I have a laptop case with an octopus on it. What more could a girl ask for.